2 Where did the name of the tea? For many centuries, mankind enjoys such an excellent drink, as tea. undoubtedly, it is one of the oldest and most loved. In China, the first mention of tea date back 3000 years BC. In ancient times, the Chinese have used it solely as a cure for many diseases, and only after a century, it becomes available to the public in their daily lives. Tea is a beverage, obtained by brewing specially treated the leaves of the tea bush. tea bush - vechnozelenoe and teplolyubivoe plant, refers to family of camellias. Meet Chinese (a bush) and Indian (tree view) its variants. Leaves similar to leather, brilliant, dark green, in different varieties of 5 cm 20 cm in length. The flowers are small, white, emits a delicate flavor. The plant is unpretentious and durable, may give charges to the sheet 100 years old. 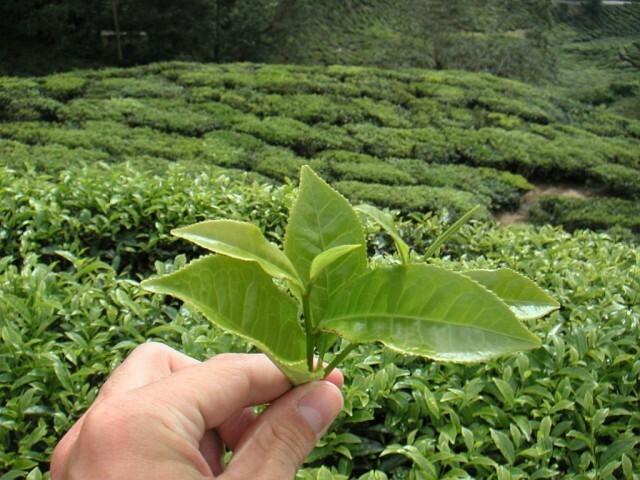 For elite grades of tea harvested most young leaves and shoots with the apical bud unblown. For varieties of low quality use more Mature leaves. Depending on the processing technology, distinguish green, the black, white (or yellow) and red teas, in turn, subdivided into many different varieties. Produce loose tea, pressed, granulated, powder, extracted, disposable bags. In specialty stores, you can find the old kinds of Chinese traditional tea in pill form, scones or tea leaves deposits of unusual shape. There are many legends about, how he had discovered the wonderful therapeutic and flavoring properties of tea. One of the legends about tea says, for the first time applied the tea Chinese Emperor Shen Nang, who ruled 2700 years BC. When water is boiled in a pot during a campaign, wind blew it leaves tea tree, next to which was divorced fire. 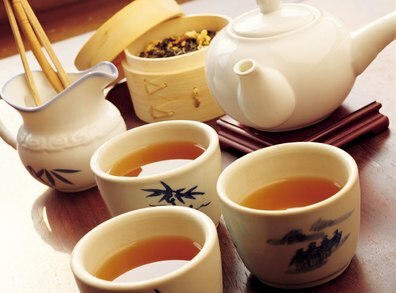 Emperor extremely liked the taste and aroma of the drink, and he ordered always cook it, and also to grow tea tree. Another legend tells of the shepherds, who noticed, that their goats and sheep, chewing tea tree leaves, are fresh and frisky. We celebrated the amazing properties of tea and Buddhist monks, come across, that the infusion of its leaves keeps vigor and mental clarity during prayers. If the history of the first use of the tea is very vague, the subsequent development is directly related to Chinese emperors, who put a lot of effort into his own study, disseminating, bringing to perfect methods for its brewing and extracting the brightest taste. Description of the tea ceremony dedicated to sophisticated treatises, about him were composed poems and poetry, Doctors tell of its medicinal properties. For centuries, the Chinese kept the secret of tea as a national treasure, the disclosure of which is followed by the death penalty. Tea exchanged for jewels, fur, thoroughbred horses, and none of the neighboring nations did not dare to know how it is made. China has long maintained a monopoly on the production of tea, until he began his cultivation in this climate favorable to India. Where did the name of the tea? AT 3 century BC. Emperor of the Han Dynasty commanded to enter a single name of the national drink - "Cha". Word «Ttsay-e» in Chinese means "Young leaf". AT 8 century tea was invented by a special character. curious, that the peoples, to which the tea since ancient times supplied from the northern provinces of China along the Silk Road, use in the name of tea "ch" sounds, "C", "Sh", eg, "Tsai" Mongols, "Shay" Arabs. And those nations, which is called tea "This" or "you", receiving it by sea, through the southern province, which they spoke Cantonese. acquaintance Russian tea occurred in 1638 year, when the ambassador Starkov brought to Tsar Mikhail Fedorovich as a gift from the Mongol khan Altyn a few pounds of dry tea leaves. they say, brown aromatic beverage that first gave the court to try the doctor, as the king and nobles feared poisoning. Convinced of its high taste and medicinal qualities, from the middle 17 century, the Russians established a permanent exchange of Chinese tea on expensive furs. tea deliveries were made trade caravans, path that took from China to Russia, about one and a half years. Tea leaf transported in special wooden boxes, inside tin trimmed sheets, and the outside - a few layers of skin, to prevent ingress of moisture and foreign odors. clear, that precious drink was available only to the royal court, wealthy merchants and boyars, because it costs a lot of money. Only with 18 century tea becomes known to the general public, due to a significant increase in supply. There are the first Russian tea drinking customs, first samovars, first tea, drink tea everywhere, from grand receptions, ending up on household picnic in a remote village. Breeders brought teas, which began to grow in the Crimea, Azerbaijan, Georgia, Krasnodar Territory. Tea is drunk with pleasure all over the world, perhaps, it is one of the most popular international drinks of different times and peoples. How to quickly cook a hot sandwich in the microwave?